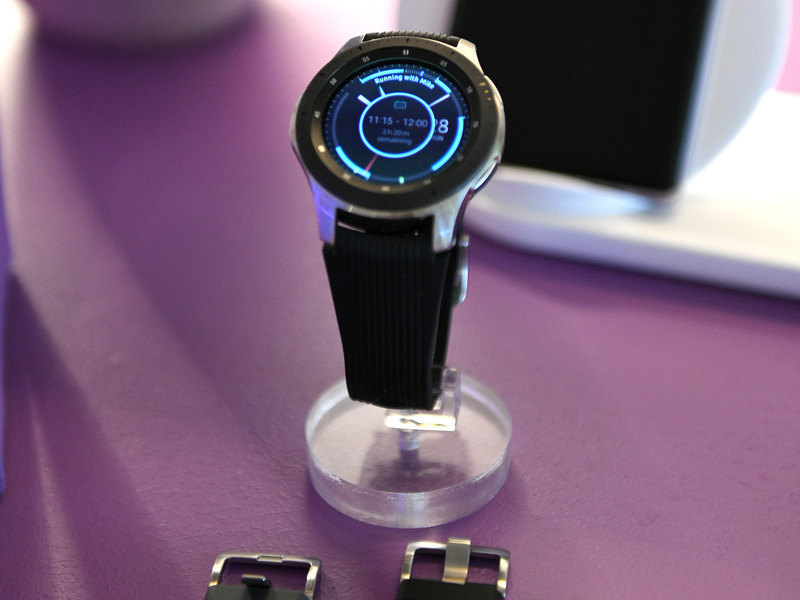 Samsung’s latest competitor to the Apple Watch is here: the Galaxy Watch, a $US330 fitness-focused smartwatch. 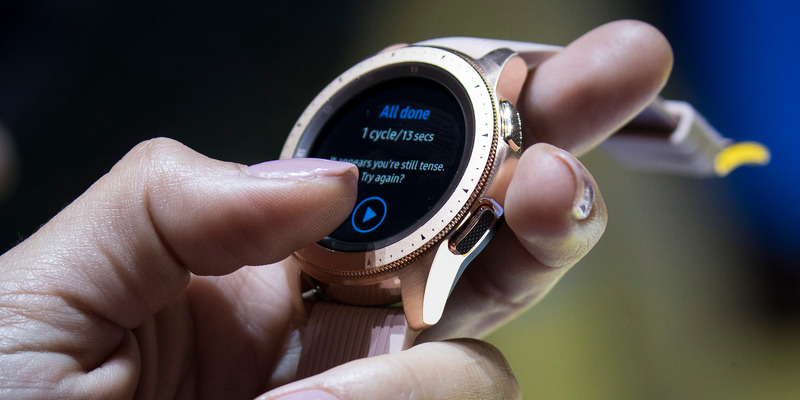 Samsung introduced the new smartwatch on stage at its Unpacked event last week. The Galaxy Watch isn’t Samsung’s first wearable, but it’s the first since 2013 with the Galaxy brand name – for the past few years, Samsung’s smartwatches have been under the “Gear” branding. So as the Apple Watch and the Galaxy Watch prepare to go head-to-head – the Galaxy Watch will be available August 24 – here’s how the two watches are similar and different. There are a lot of ways in which the watches are similar. Both the Galaxy Watch and the Apple Watch Series 3 come in three colours: black, silver, and rose gold. 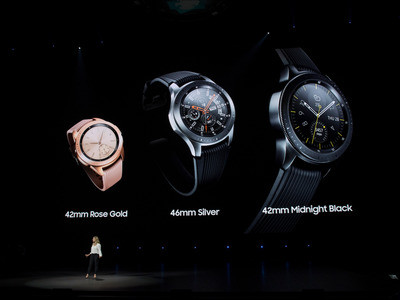 The Galaxy Watch and Apple Watch start at the same price: $US329. The 42 mm Galaxy Watch, which comes in black and rose gold, costs $US329. The 46 mm Galaxy Watch, which comes in silver, costs $US349. 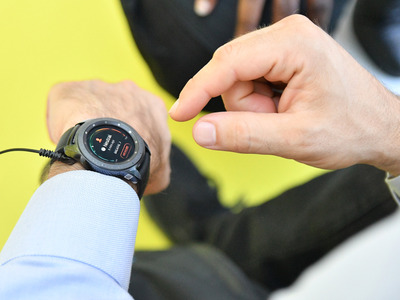 Samsung hasn’t said if there’s a price increase for the cellular version of the Galaxy Watch, which is coming later this year. 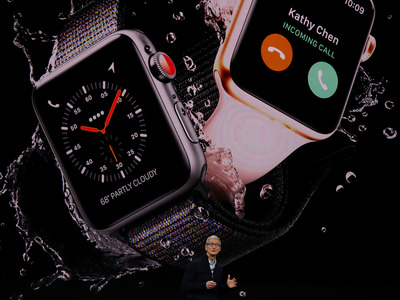 The 42 mm Apple Watch with GPS and cellular costs $US429. The Galaxy Watch and Apple Watch both have OLED displays, although they’re totally different shapes. Note that you’ll only be able to stream music if you have the cellular version of both watches. 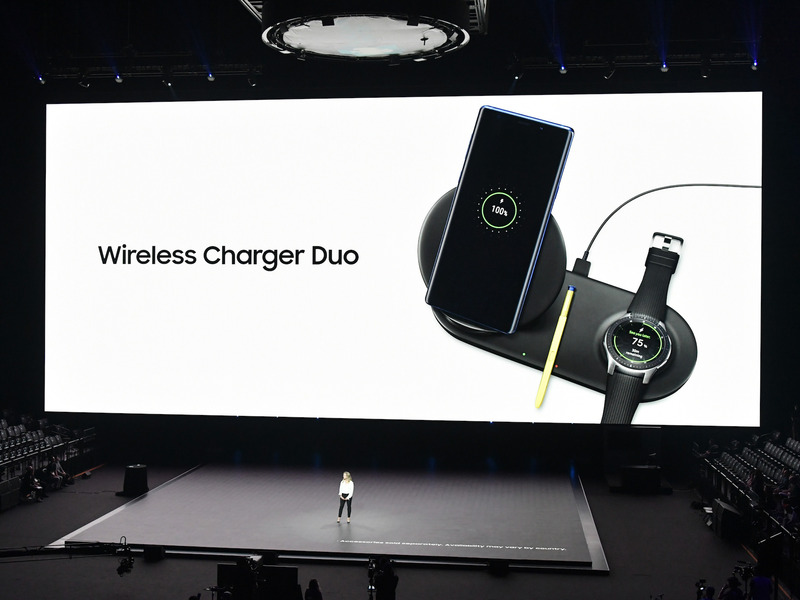 The Galaxy Watch has Samsung’s Bixby, while the Apple Watch has Siri. 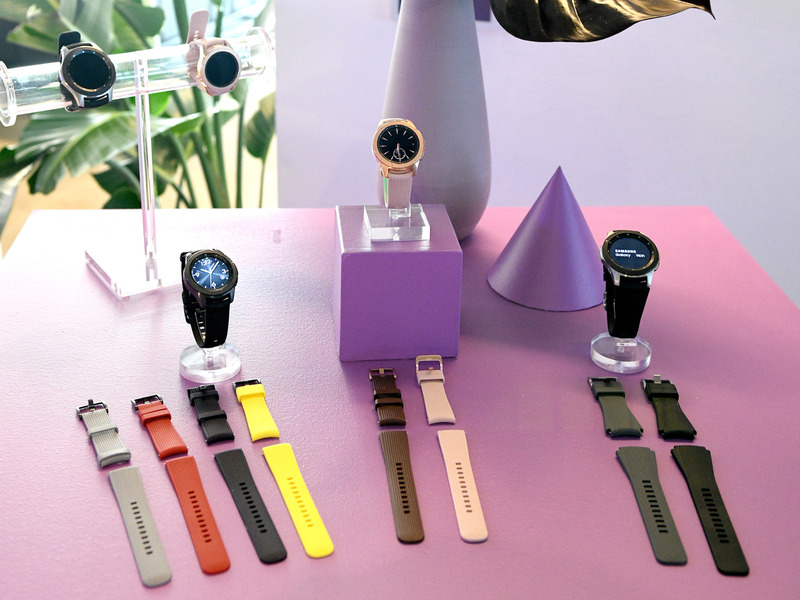 Both Samsung and Apple make a variety of bands for the watches, so you can customise them to suit your taste. 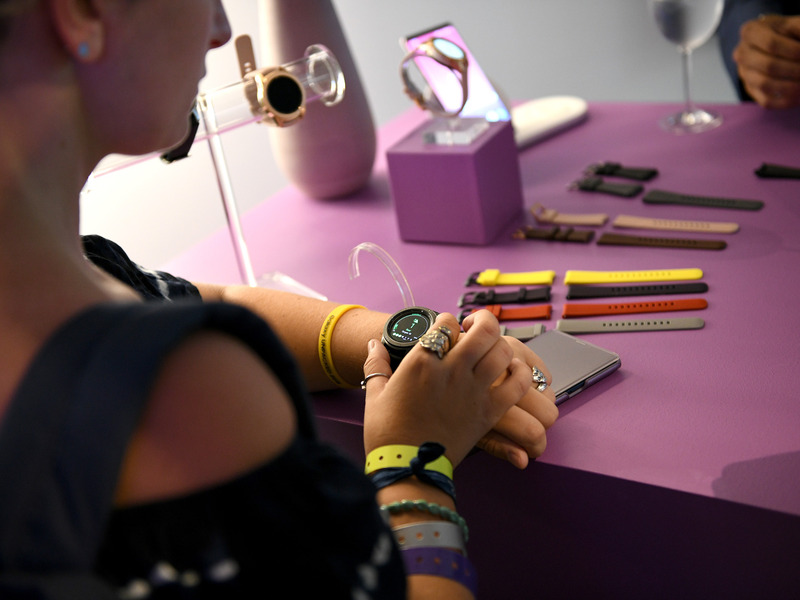 You’re not restricted to the bands that both companies make for their watches, either – it’s easy to find third-party bands what will work with both the Apple Watch and the Galaxy Watch. The 42 mm Galaxy Watch weighs 49 g, while the 38 mm GPS Apple Watch weighs 26.7 g. Even the biggest Apple Watch Series 3 – the 42 mm watch with GPS and cellular – weighs significantly less than the Galaxy Watch: 34.9 g compared to 63 g.
The Apple Watch Series 3 is compatible with an iPhone 5s or newer that’s running iOS 11 or later. The Galaxy Watch, on the other hand, is compatible with both iPhone 5 or newer running iOS 9 or later, and smartphones running Android 5 or later (you can find a full list of compatible smartphones on Samsung’s website). 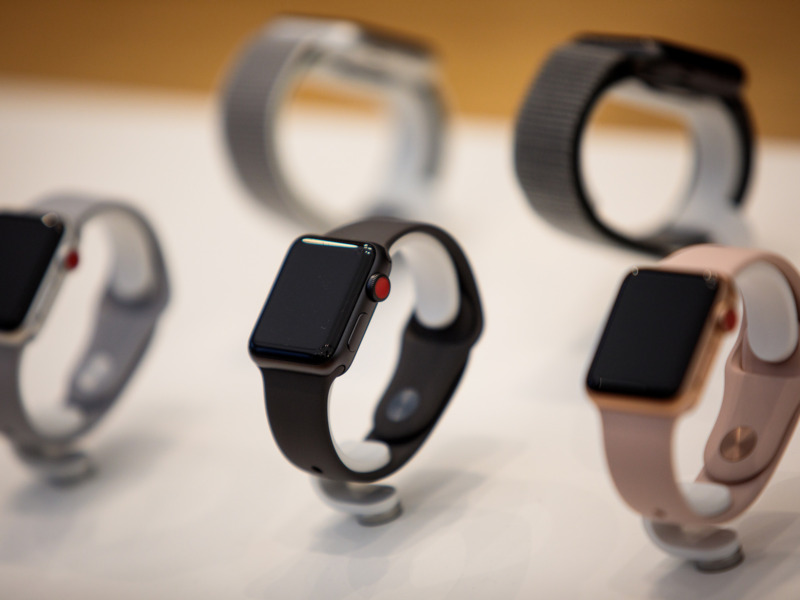 The Apple Watch Series 3 gets up to 18 hours of battery life, but that varies considerably based on how you’re using the watch (you can read more about the Apple Watch’s battery life on Apple’s website). You can buy the Apple Watch on Apple’s website, at Apple stores, and at various retailers.